My baby girl has an abundance of hair. Like seriously, it’s a lot. Sometimes it’s exhausting especially when I add Baby E to the mix. He hates getting his hair touched much less combed but that’s a story for another day. As for Zoe, she is usually ok with me doing her hair so long as it’s quick and simple. 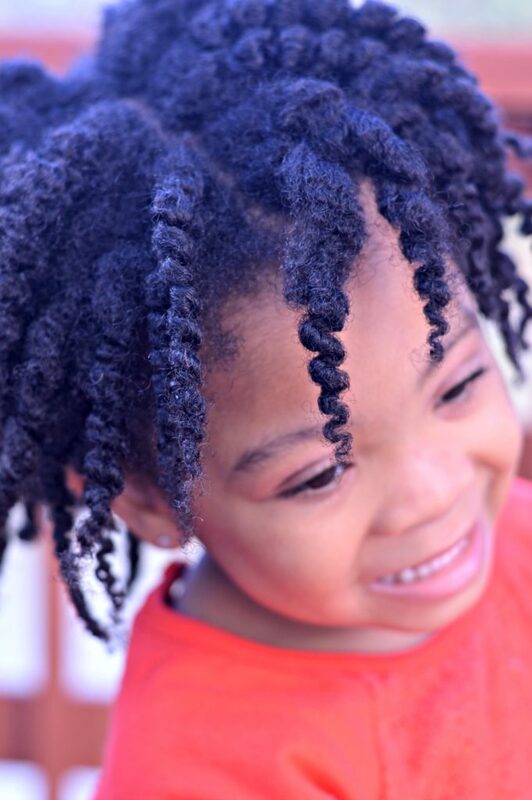 Sometimes mama is tired so braids make the world go round but our ultimate easy days are all about the wild and free aka a twist out or a braid out. 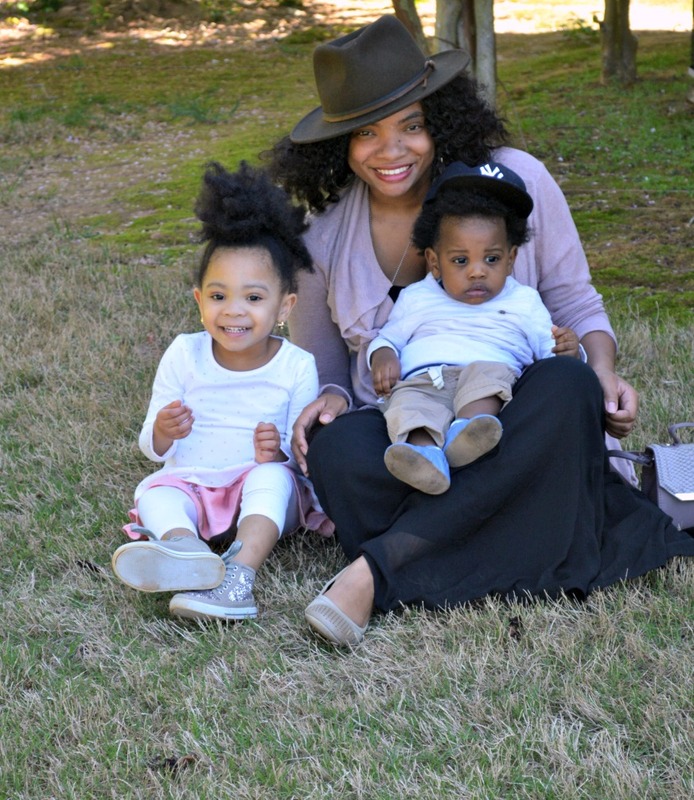 Zoe loves either of these styles the most but mama has to keep up with the hair care part because Miss Z has dry hair. Really dry hair! As soon as water touches her hair, her hair drinks it right up. That goes for moisturizing products as well. To help keep her dry hair moisturized, I tend to go to home remedies mixed in with some of my favorite products like Just for Me. Let me tell you something, Just For Me has been around for as long as I can remember. I am here for the old school names with updated formulas. Totally here (or HAIR, ha) for it. 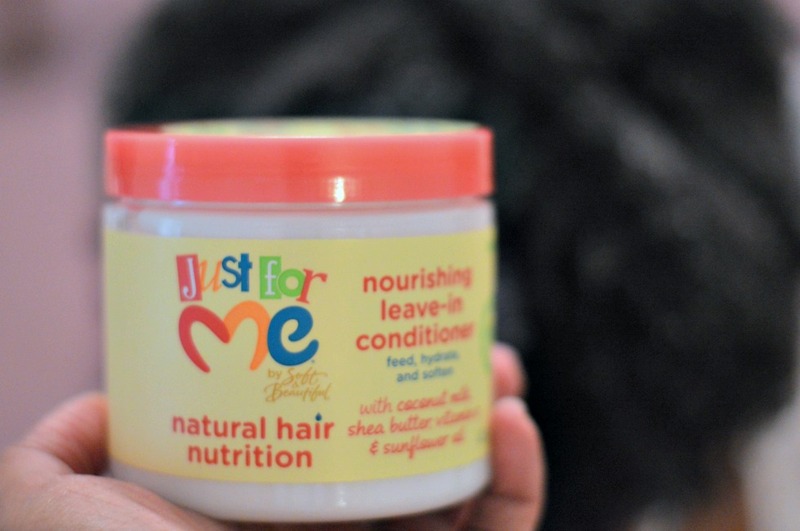 I tried the new Just For Me Nutrition Line and I definitely approve it for dry hair. It’s a winner! Now that I am familiar with the whole Co-Wash movement, there is no turning back. My little swimmer needs as much gentle hair care as possible because her hair takes a beating every week during swim lessons. Nope, I still haven’t found the magical cap that doesn’t let water in. 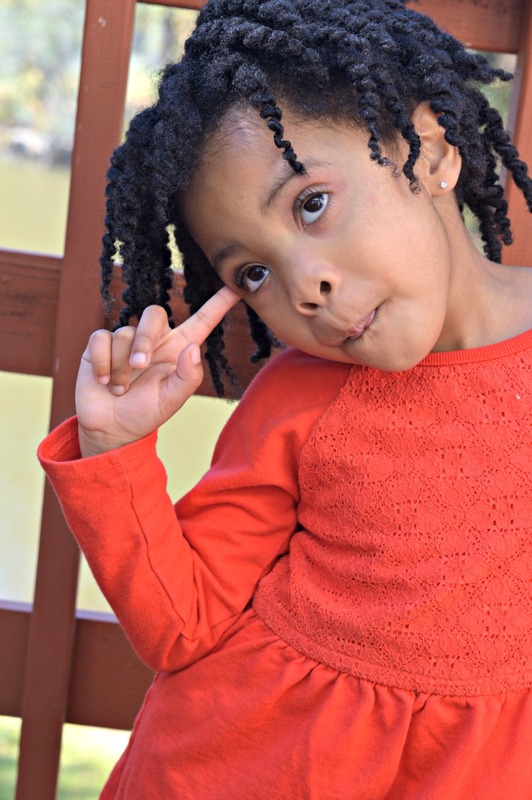 In the meantime, I am all about keeping Z’s hair moisturized. 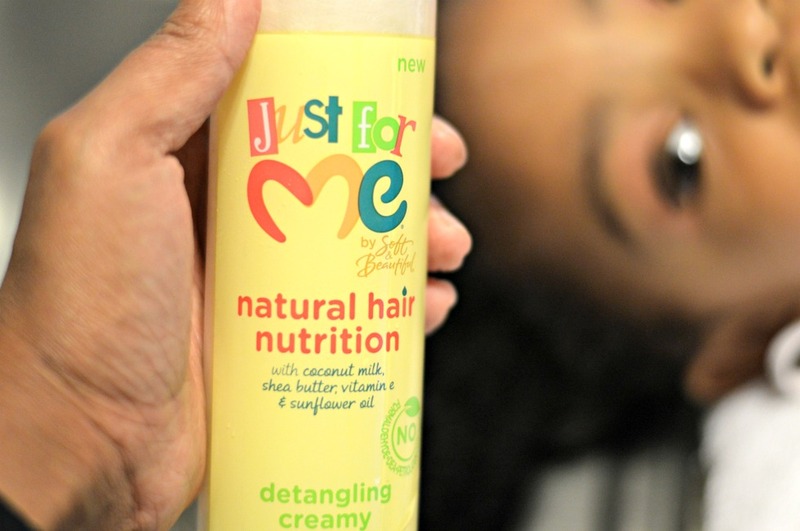 The Just For Me detangling creamy co-wash is perfect for Zoe’s hair especially since we have to wash it more often due to swimming lessons. I love that co-wash is gentle and gives us a break from constant shampooing. 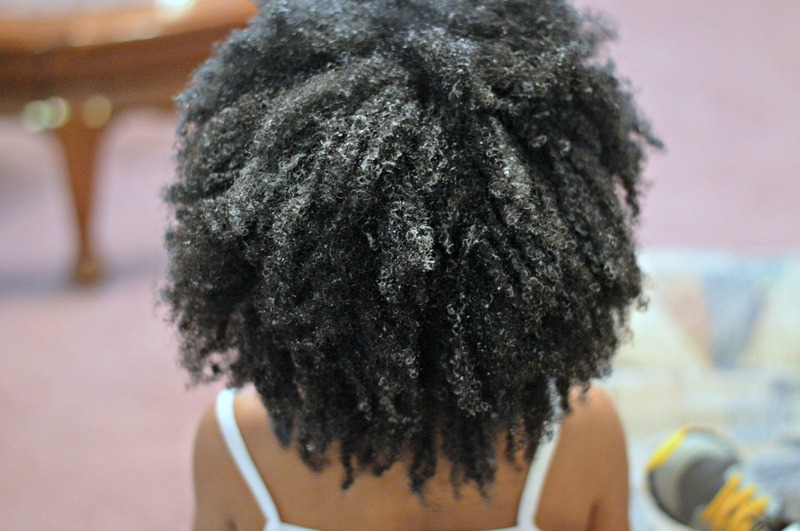 I love that the detangler is built right in. One less step in the long process on wash day. After washing, I add a mixture of the nourishing leave-in conditioner and the creamy butter moisturizer all over her head. 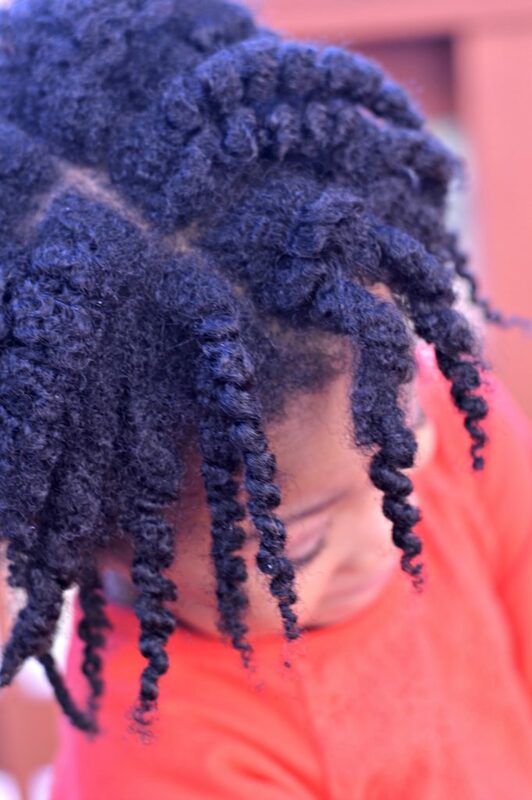 While twisting each section, I add more of the mixture plus the moisture-rich styling smoothie. A good friend who is also a stylist gave me this tip and now I am sharing it with you… The product should cover the hair and you should be able to see it as you twist or braid. 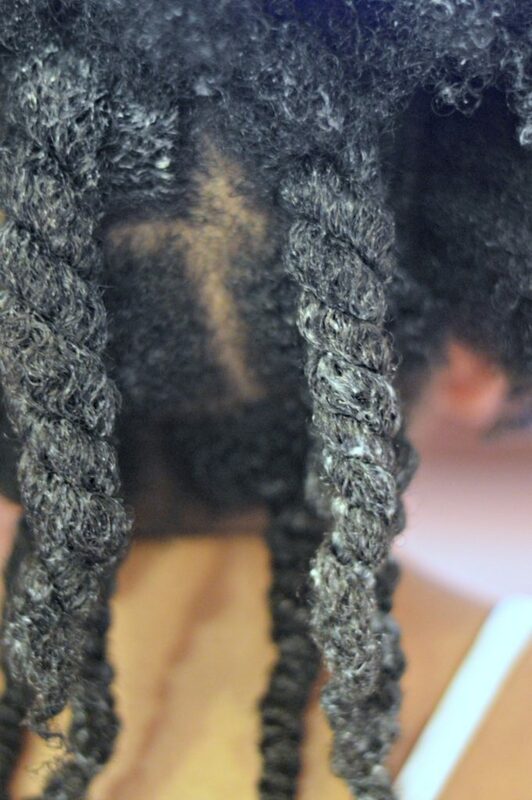 As you can see here, Z’s twist look white from the product. That’s what her dry hair needs. I open up each twist into two sections and leave it that way. 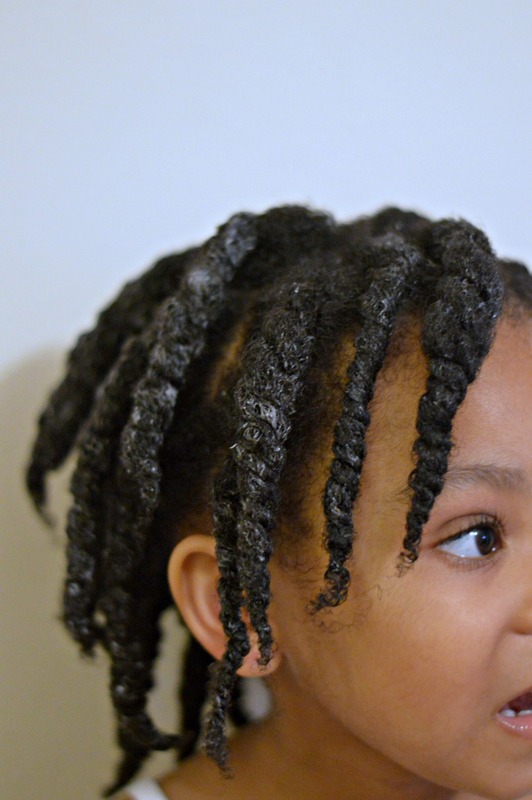 I retwist at night and then after a few days, I will either separate the twists further or style her hair in an updo with a twist out bang in the front. She’s so silly. What’s your go-to tips for dry hair? She is too cute! 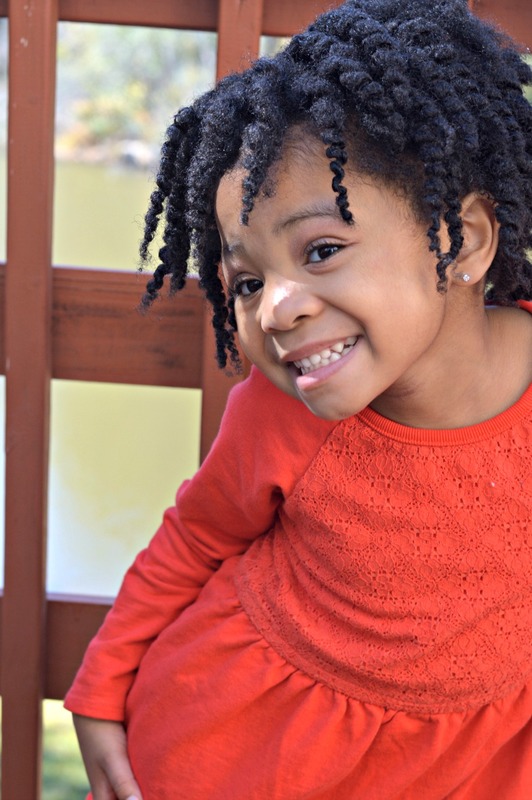 I usually use Shea Moisture products on my girls hair, but I’m always up to trying new products. All my girls also swim, so keeping thier moisturized is very important. I’ll have to look for these Just for Me products the next time I go shopping. Beautiful girl. I think all naturals can use this in their hair. Right now I’m using something with shea butter this I will look for this nxt time I go product shopping. 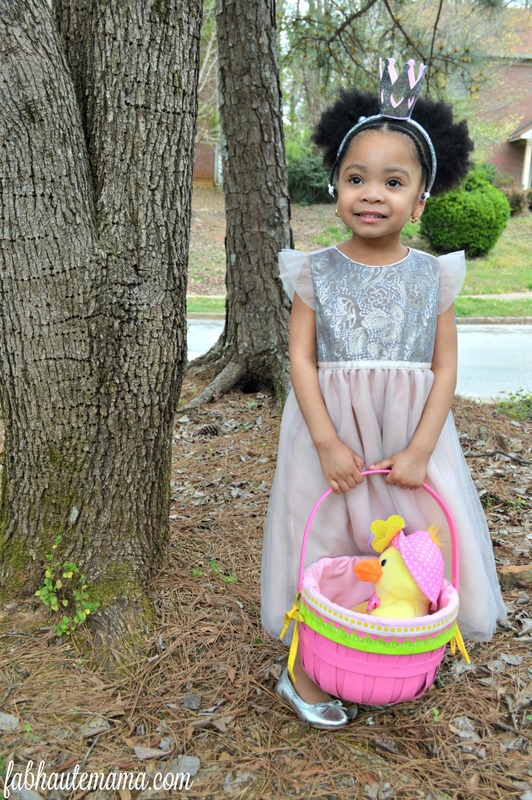 Aw, my gbaby has hair just like this and we’re always looking for something to give her more moisture. I bet this style would look cute on her too! Great tips, and she is too cute! 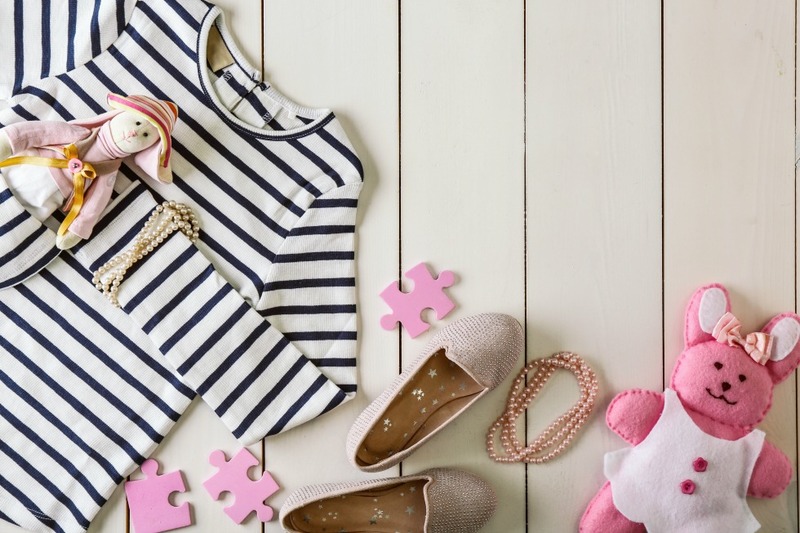 I need to pass this post along to my mommy friends with little girls. With the harsh winters approaching the DC area I need to be sure that I am moisturizing my daughters hair. I need to check out this brand. Moisture is everything and it’s so hard to maintain. I do a cream, oil, water mixture a few times a week to keep my hair from being dry. So much maintenance! Very helpful tips, Hair needs to be given a proper care with the regular moisturizing and routine caring. Thanks for sharing! 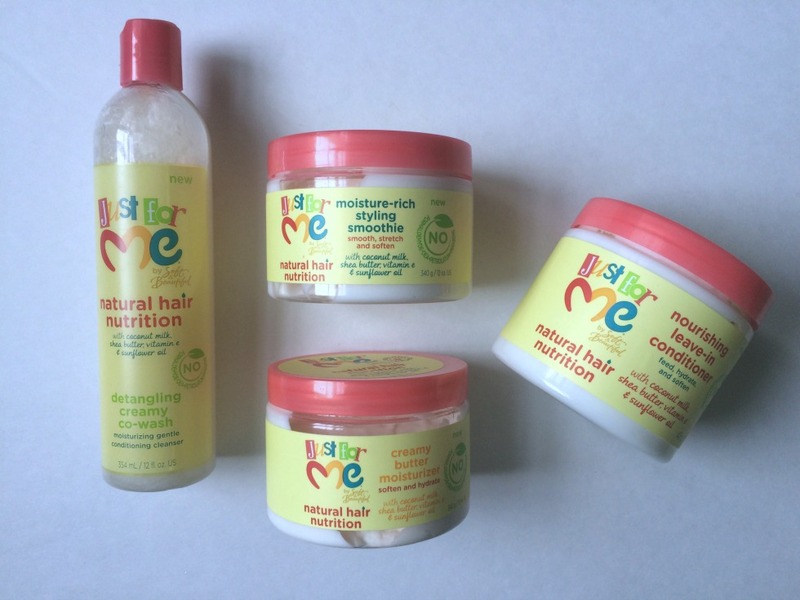 It is too much helpfull post for baby hair. I know we can’t figure out if it’s the Nourishing Naturals shampoo or the Sprout dangler that smells so good! I think it’s the combination.